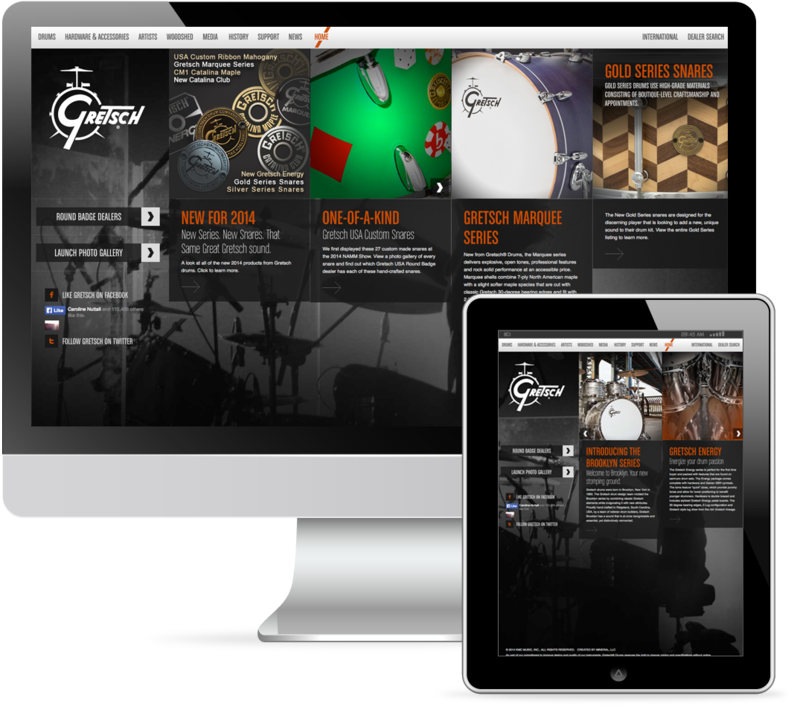 A company that started as a family business and soon began to capitalize on “That Great Gretsch Sound,” Gretsch Drums has been committed to serving the music industry for over 125 years. 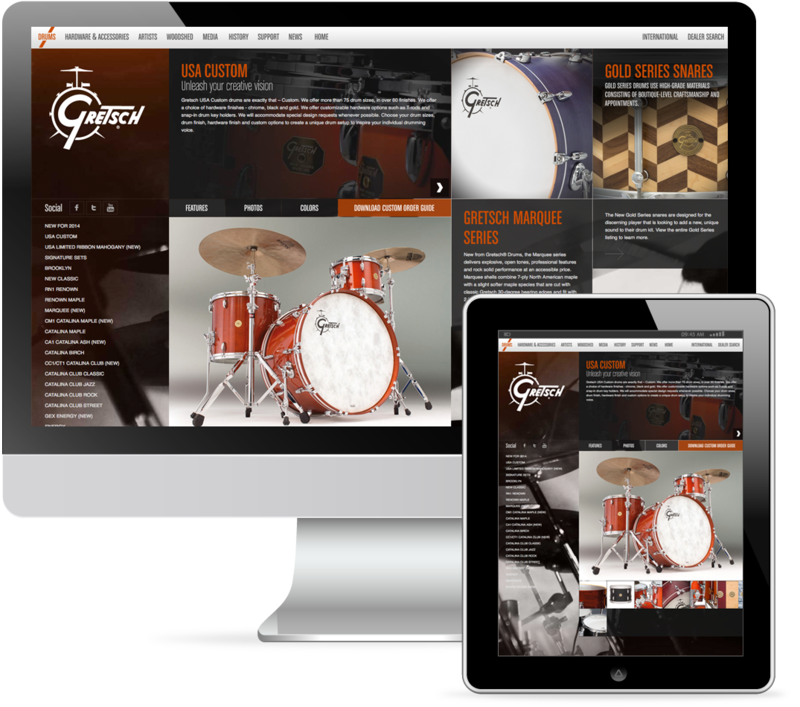 Gretsch Drums selected Mineral for the development of a user-friendly website that would showcase the global music instrument leader’s extensive series of high quality percussions and musical hardware. 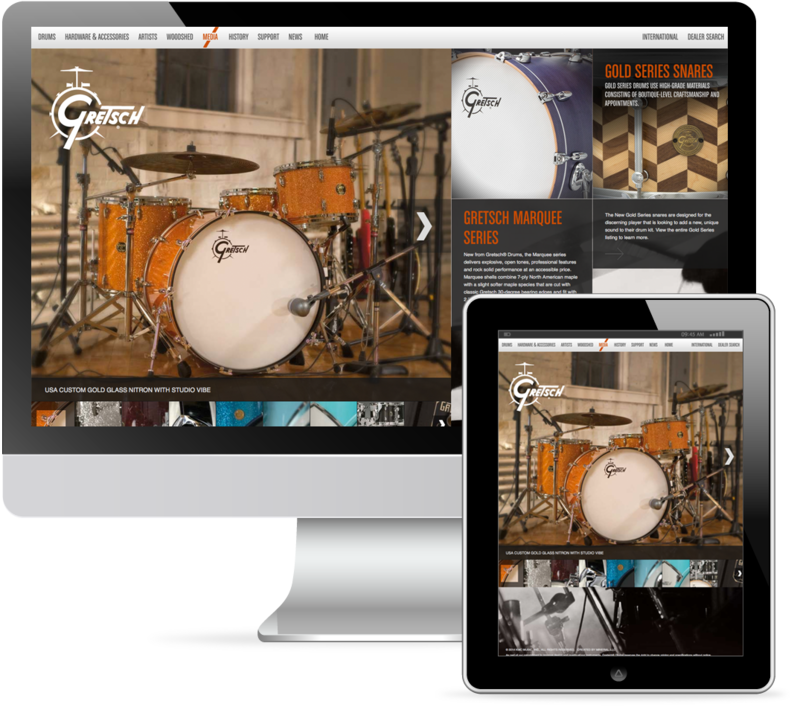 In its approach to develop the client’s exacts vision for its website, Mineral created product sections with tabs for visitors to view and compare various drum photos, colors, and specs, with a simple-to-use navigation solution. 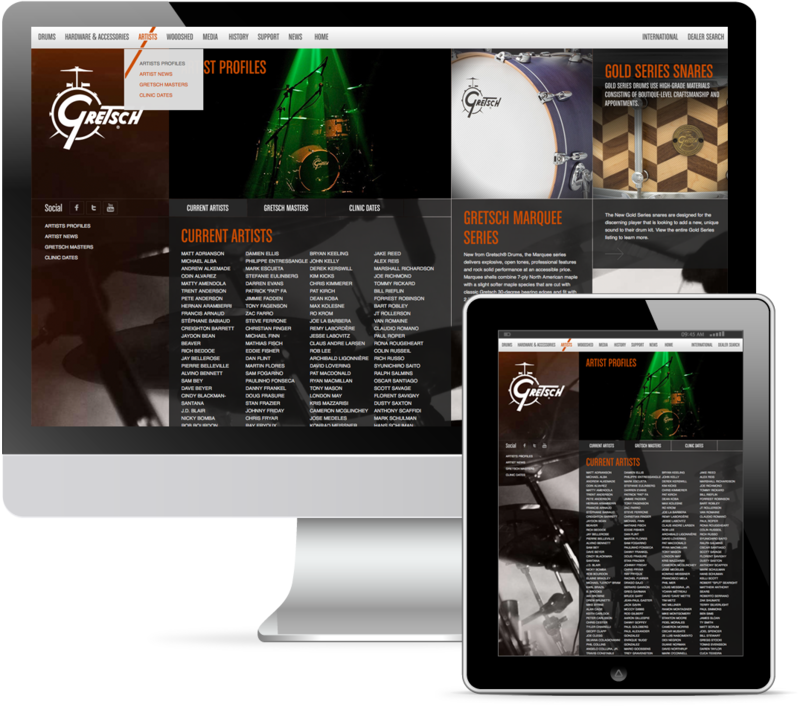 This methodology further allows visitors to connect with the Gretsch brand and website through the implementation of “BUY NOW” buttons that link users directly to authorized dealers. This button is also an essential and critical way for website administrators and vendors to track potential profits. Mineral implemented HTML5 and adaptive web design for larger screen sizes and variable dimensions, specifically through the customization of the web displays based on visitors’ window sizes. Additional side panels were created for visitors with larger screens, while the same panels were implemented throughout the website, thus granting all visitors access from various sections. © 1998-2019 - Mineral, LLC | | Mineral, LLC. All rights reserved.